NYC Immigration Lawyers, Naturalization, Green Cards, Deportation Defense, Brooklyn, New York - How Do I Become a V-Nonimmigrant as the Spouse or Child of a U.S. Permanent Resident? » How Do I Become a V-Nonimmigrant as the Spouse or Child of a U.S. Permanent Resident? The Legal Immigration Family Equity Act and its amendments (LIFE Act) established a new nonimmigrant category (V) within the immigration law that allows the spouse or child of a U.S. Lawful Permanent Resident to live and work in the United States in a nonimmigrant category. The spouse or child can remain in the United States while they wait until they are able to apply for lawful permanent residence status (Adjusting Status), or for an immigrant visa, instead of having to wait outside the United States as the law previously required. The Immigration and Nationality Act is a law that governs immigration to the United States. For the part of the law concerning V nonimmigrant status and the process of applying for permanent residence status, please see INA §§ 101(a)(15) and 214(o) (V nonimmigrant status); § 248 (change of status); and § 245 (immigration petition and adjustment of status). The specific eligibility requirements and procedures for qualifying as a V nonimmigrant, obtaining that status and applying for permanent residence are included in the Code of Federal Regulations [CFR] at 8 CFR § 214.15, 248, and 245. 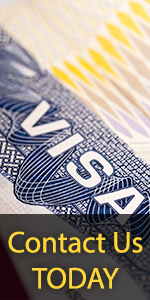 There is a pending application to adjust status or application for an immigrant visa. The derivative child of a V-1 or V-2 nonimmigrant is eligible for a V-3 visa or for V-3 status. If outside of the United States, you should contact the U.S. State Department consular office or embassy to apply for a visa. If inside the United States, you must file the Form I-539, Application to Change Nonimmigrant Status, and Supplement A, and pay the application fee, or request a waiver of the application fee. All aliens 14 to 79 years of age who are filing Form I-539 to obtain V nonimmigrant status must submit a service fee for fingerprinting with their application. In addition to the instructions listed on the Form I-539, all aliens applying for V nonimmigrant status must follow the supplemental instructions found on Supplement A to Form I-539. Applicants must also undergo a medical examination and submit Form I-693, Medical Examination of Aliens Seeking Adjustment of Status, without the vaccination supplement. Persons in V-1, V-2, or V-3 status are eligible to apply for a work permit. You should use USCIS Form I-765 (Application for Employment Authorization) to apply for a work permit. Applicants should use the code “(a)(15)” as the answer to question 16 on Form I-765. If you obtain a V nonimmigrant visa from a consular office abroad, you may be inspected and admitted to the United States in V nonimmigrant status after traveling abroad as long as you continue to possess a valid, unexpired V visa and remain eligible for V nonimmigrant status. When you are granted V nonimmigrant status in the United States by the USCIS, you will need to obtain a V visa from a consular office abroad in order to be inspected and admitted to the United States as a V nonimmigrant after traveling abroad. (You will not need to apply for a V visa abroad in order to be admitted if you have traveled to contiguous territories or adjacent islands, have another (different category) valid visa, and are eligible for automatic revalidation.) Procedures for obtaining a V nonimmigrant visa abroad are found in the Department of State regulations at 22 CFR 41.86 (66 FR 19390, April 16, 2001). In addition, you must remain eligible for admission in V nonimmigrant status. A V nonimmigrant with a pending Form I-485, Application to Register Permanent Residence or Adjust Status, does not need to obtain advance parole prior to traveling abroad. This means that an alien in V nonimmigrant status may be readmitted as a nonimmigrant despite the fact that he or she is an intending immigrant with a filed application for adjustment of status or an immigrant visa. The departure of a V nonimmigrants with a, pending applications for adjustment of status is not considered to have abandoned the adjustment application upon departure. If you have accrued more than 180 days of unlawful presence in the United States (or 365 days), then travel abroad and are admitted or readmitted as a V nonimmigrant, you have triggered a 3- or 10-year bar to admission. The law exempts V nonimmigrants from the 3- (or 10-) year bar for purposes of admission to the United States as a V nonimmigrant but does not exempt them from the bar when they later apply for an immigrant visa or for adjustment to LPR status. That means that although you will be admitted or readmitted to the United States in V status, you may be unable to adjust status to LPR unless an individual waiver for that ground of inadmissibility is granted. To the extent that you may be eligible, you may apply for the waivers found at section 212(g), (h), (i), and (a)(9)(B)(v) of the Act. Please contact the USCIS office that received your application. You should be prepared to provide the USCIS staff with specific information about your application. Please click here for complete instructions on checking the status of your application. Please click here for more information on USCIS offices. There is no appeal from a decision on Form I-539 denying V status.